Happy Bloggy Hop Day! 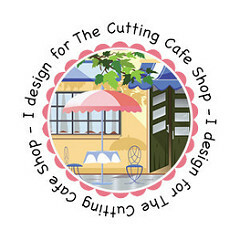 Welcome to the Cutting Cafe’s Blog Hop where we are doing something completely different! Each of the ladies on the team are giving away the very set(s) that we used to create our projects. I am ALSO giving away these candle sticks! Double BAM cool! Check out these flowers! You can easily make them yourself using Regina's Paper Flower Template. With any luck, I'll be giving you the set to try yourself. You will also have my set of candle sticks to enjoy! If you would like to win this cutting file set and my candlesticks, just leave me a comment letting me know what you think about my project. I will be drawing one winner this coming Sunday and will get the candles out to you shortly there after! With any luck, you came from Lisa's Blog. 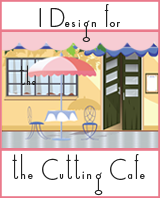 You should be traveling next to my DT sista Keri who will also have a fun project and set you can win. 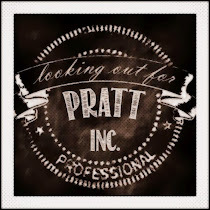 Mitra Pratt which is HERE! What an awesome idea for the flowers! Great job! Wow! How pretty! Love what you did with these flowers. It was fun hopping with you! Love your paper flowers. That is one thing I have not yet tried to make. Beautiful! The flowers are beautiful and to add them to the candle holders beautiful...vintage look. Very pretty flowers and they go so well with your candle sticks. Mitra, you always amaze me! This is a beautiful project! These flowers are a perfect complement for the candle sticks. Great idea. Lovely candlesticks! You did an awesome job with those flowers! They really "pop"
So beautiful! These would be great as wedding decorations. Your flowers are lovely. Love, love, love those flowers. This project is certainly a Mitra touched beauty. The flowers are amazing. What a beautiful home décor piece. LOVE these and love those flowers!! I'm gonna have to get that one! Someone is going to be very lucky! Wowzers! These need to be in an upscale gift shop - absolutely gorgeous! Thanks for sharing - it's been fun hopping with you this week!